You know how right after Thanksgiving you feel like you are ready to kick of the Christmas season? After Thanksgiving dinner, we always watch Christmas Vacation, which feels like a real transition to the second part of the holiday season. That’s kind of how I feel about the Super Bowl. Now that the game is behind us, I’m ready to officially shift in to Valentine’s Day. 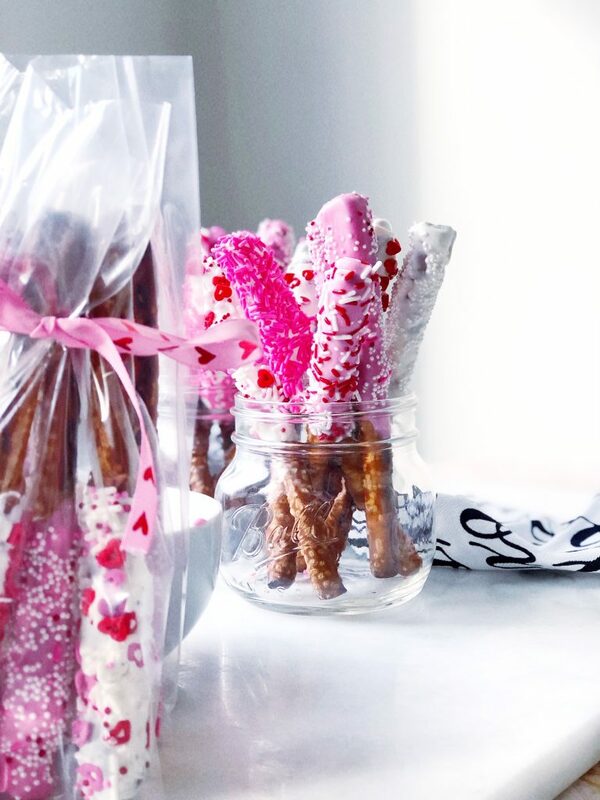 And I expect everyone to transition with me, since for dessert at our Super Bowl party everyone had these Valentine’s Day caramel chocolate covered pretzels. Admittedly, I’ve been avoiding the whole chocolate covered pretzel thing for quite literally no reason. 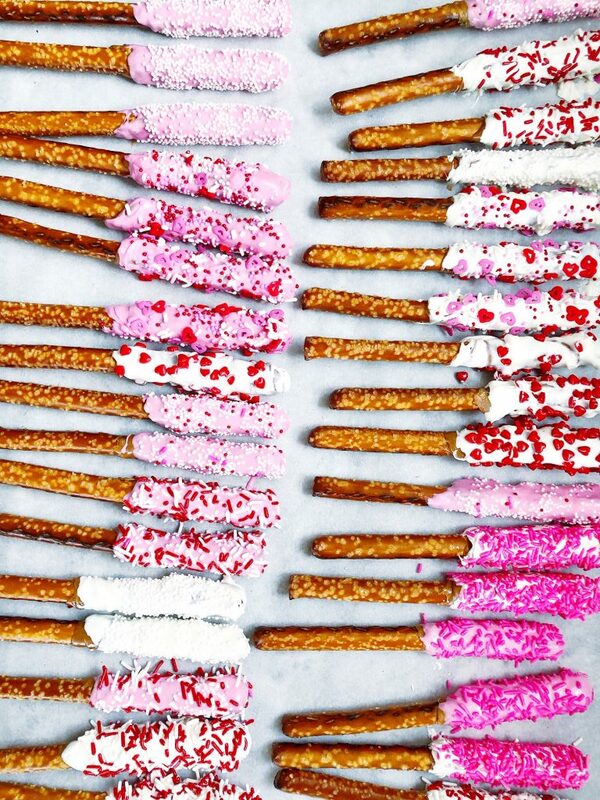 I think because I couldn’t wrap my head around the combination of sprinkles that would be pretty? So ridiculous to not make them for such an easy problem to solve – and it really was easy to solve! I just went to Michael’s, picked one set of sprinkles I loved and then used those to pick 4 more variations that I thought all looked cute together.